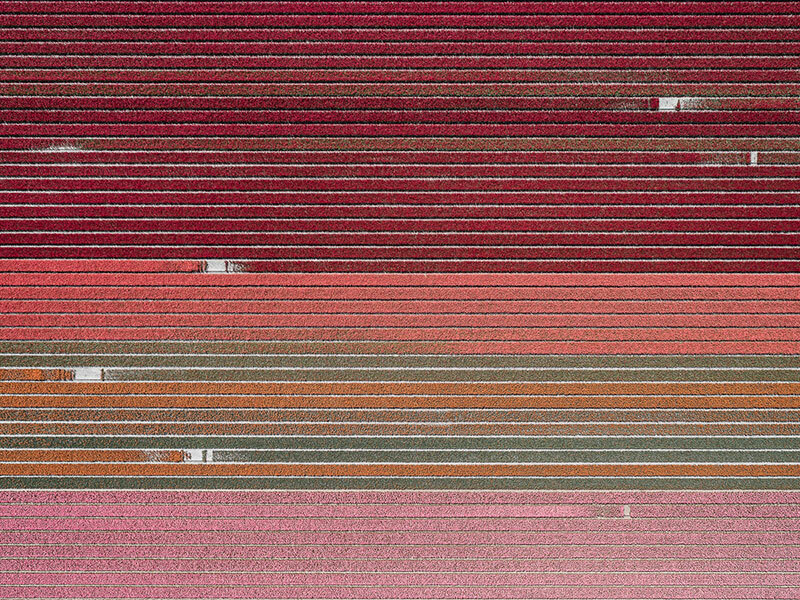 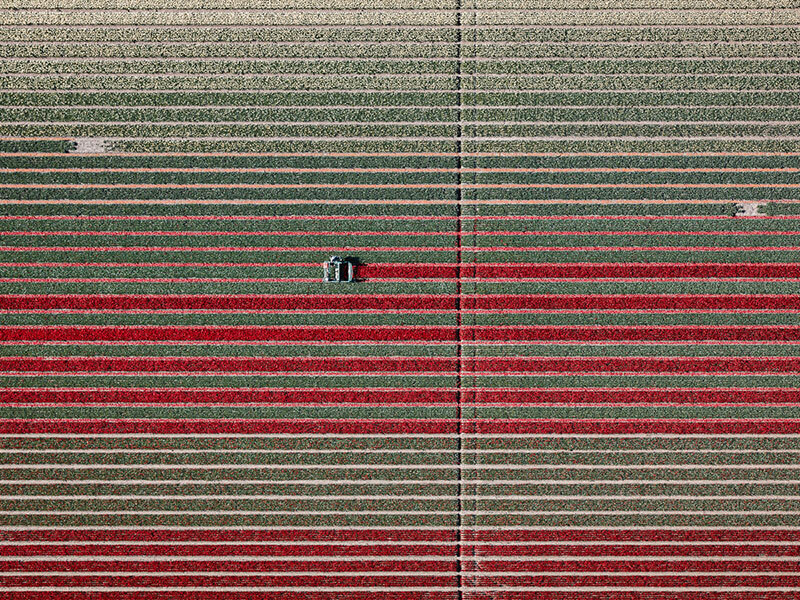 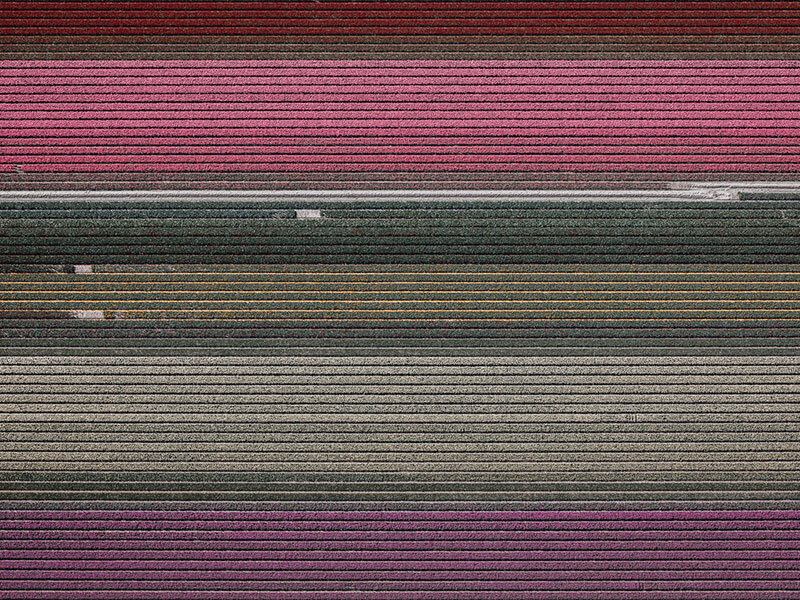 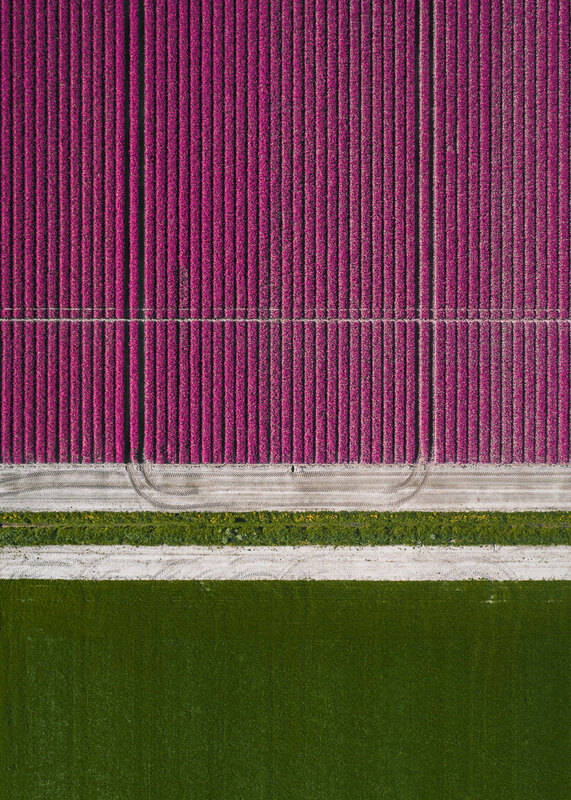 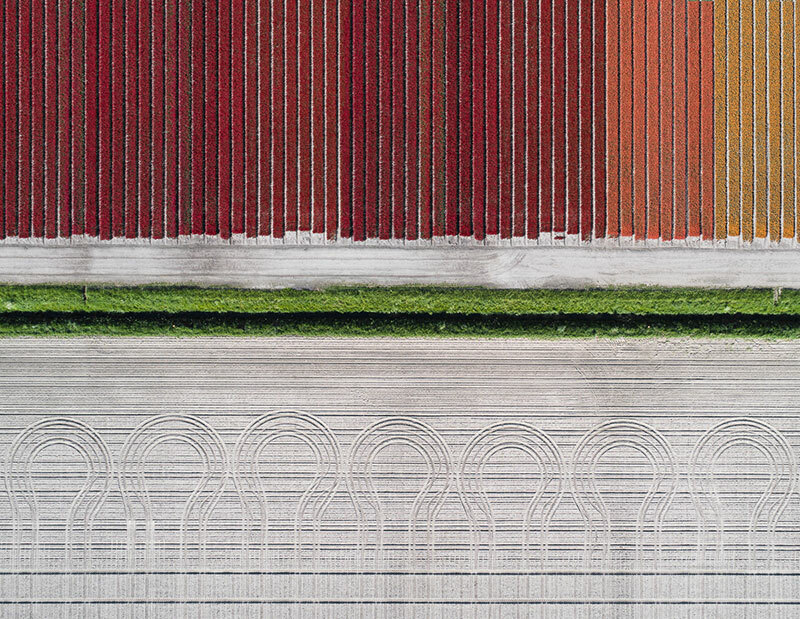 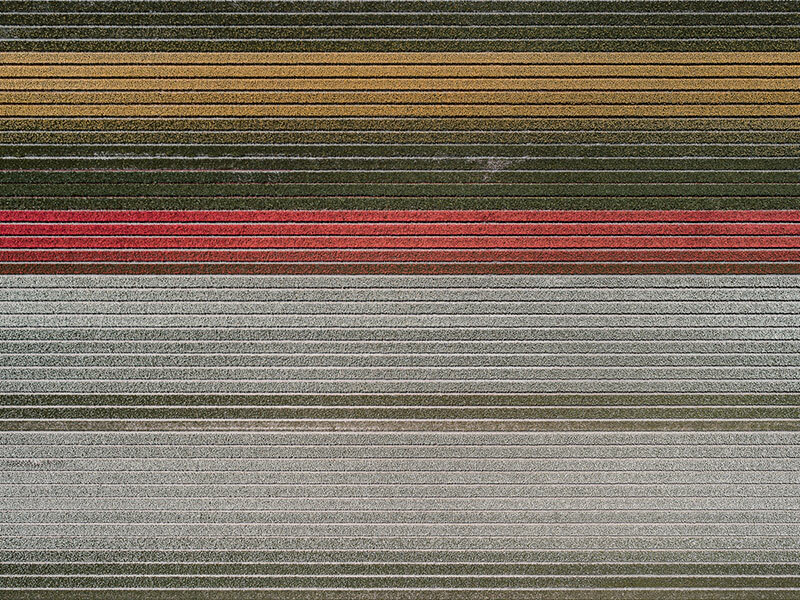 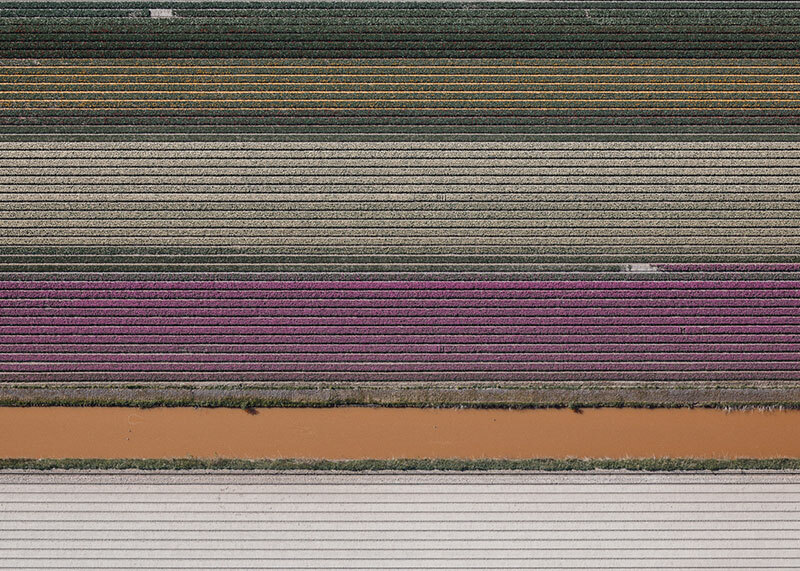 Aerial views of tulip fields in the Netherlands by Munich-based photographer Tom Hegen. 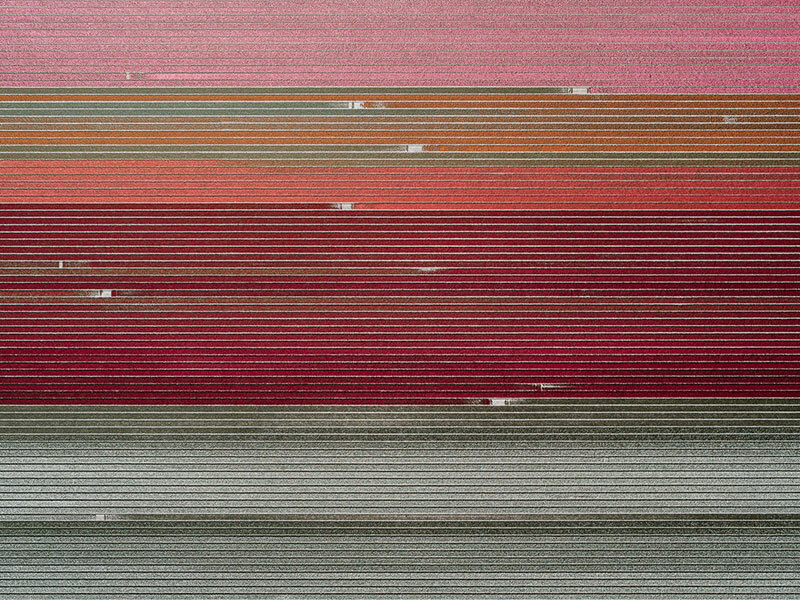 Taken from a camera pointing directly downwards, the photos look like abstract paintings from the Color Field movement (such as artist Gene Davis) that emerged in New York City during the 1940s and 1950s. 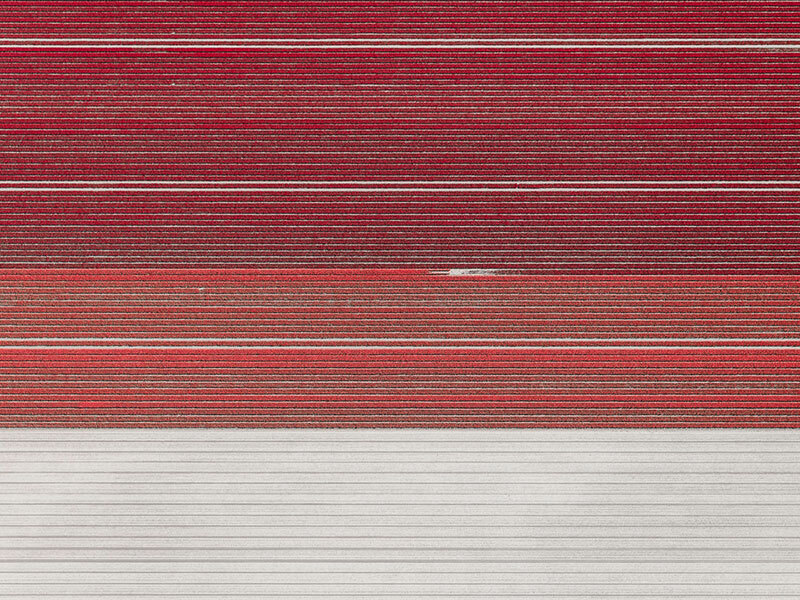 See more of Tom Hegen's work on Behance or at his website. 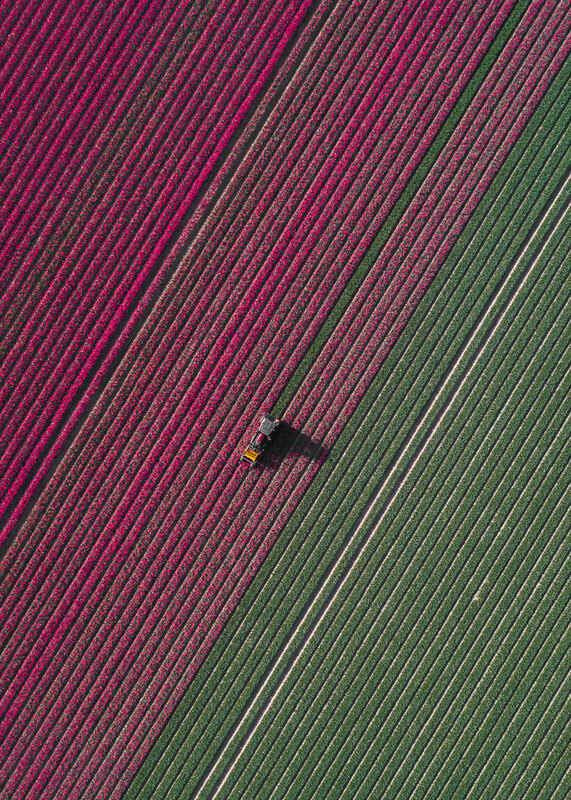 Aerial views of tulip fields in the Netherlands by Munich-based photographer Tom Hegen.